We’ve got the tat for you. No matter where or what you do, there’s a SafetyTat product to ensure the safety of your child and the safe return of your belongings. Peel-and-stick tattoo, write-on your information. Dishwasher and washing machine proof stickers for kids’ stuff. For nearly a decade, we’ve been America’s leading choice for ensuring safe returns. Our proven, award-winning temp-tattoo and labeling solutions not only provide a fun level of security for your little ones, but peace of mind for Moms and Dads as well. And SafetyTat offers a wide range of flexible products to fit your need for literally any occasion. Why leave your child’s safety to chance? It can happen anywhere—at an amusement park, zoo, school field trip, or even your local shopping mall. Your attention shifts for a moment, and suddenly your child or loved one has wandered out of sight. Yep. 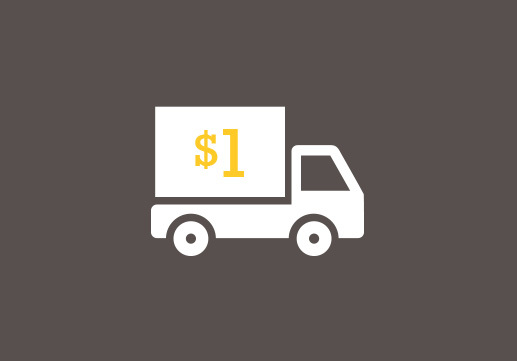 $1 per item shipping within the United States. No coupon code required. And most orders are on their way to you within two business days. No rush fees. No problem. “This is a brilliant item!” iParenting Media Award Winner! The iParenting Media Awards provide a credible method of determining and honoring great products in the marketplace with this prestigious award. Top Choice Award Seal of Excellence! All products submitted are reviewed by moms, music educators and early education professionals. Products are reviewed by many people – the very people who would purchase them. Red Tricycle’s Totally Awesome Awards is the largest awards program in in the greater parenting community. Parents from all over the nation picked their favorite family-friendly businesses! Over 236,777 votes were cast. WHERE YOU AT WITH THAT TAT?